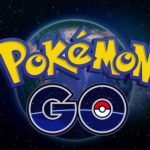 Yes, there is such a thing as Rare Pokémon in Pokémon GO, though Niantic Labs doesn’t classify them as such in this Android and iOS game. There are several Pokémon whom players have filed under the Rare category, and some of them are more in-demand than others. That might be because players are trying to fill out their Pokédexes in full, or because they simply want a Rare Pokémon or two so they can do better in the Gym Battles. Whatever the case may be, Rare, Very Rare, and Epic Pokémon are very prized, and make a good pursuit for players who are tired of stocking up on the commons for the sake of evolution. In our latest Pokémon GO strategy guide, we’re going to be talking about the ways in which you can get certain Rare Pokémon. These include the likes of Dragonair, Dragonite, and Gyarados, as well as a few so-called “Regional Rares” that tend to be far more common in certain countries as compared to others. So read on if you want specific tips for hunting specific Rare Pokémon! Dragonair is most commonly found near bodies of water. Likewise, you can also find Dratini near these water sources (lakes, rivers, oceans, the beach, etc. ), and you can evolve him into Dragonair if you’ve got 25 units of Dratini Candy. So if you’re heading off to the lake or the beach, or live near a body of water, you may want to head out in the daytime to catch Dragonair, or start out by catching Dratini. You can also hatch both these Pokémon from 5km or 10km eggs. While the above mentioned dragon Pokémon are commonly found near the water, Dragonite is different as you’ll usually sight him in wooded areas, or in parks. That, however, makes Dragonite substantially rarer than Dragonair or Dratini. Sometimes, Dragonite could hatch from a 10km egg, but don’t always count on this happening – in fact, don’t count on it at all, as Dragonite very, very rarely hatches from those eggs! Instead, you may want to take the slow, steady, and patient route – catch a Dratini, evolve him with 25 Candy to get a Dragonair, then evolve that Dragonair with 100 of his Candy to get a Dragonite. Getting Gyarados requires tons of patience, and tons of Magikarp Candy – try 400 units of Candy in order to evolve your Magikarp into Gyarados! We’ve heard reports of Gyarados showing up near large bodies of water, but even then, they’re still very rare when spotted in the wild. Unfortunately, it looks like the best thing to do here would be to keep farming for Magikarp Candy, and, of course, have a Magikarp in your lineup. Once you’ve got the 400 units needed, you’re all good to evolve him into Gyarados. Based on the observations of players, Porygon has been frequently seen hatching from 5km eggs, though you’re likely to find him hatching from 10km eggs – remember, the greater distance you have to travel to hatch an egg, the more likely you’re going to get rares or better! But what if you’d rather not bother with hatching eggs? Well, you can find Porygon in crowded, urbanized parts of town; interestingly, he’s quite common near casinos, making him perfect if you live in, say, Las Vegas or Atlantic City, or any part of the world that has some kind of casino action. Make sure you head over in the daytime, though, as you wouldn’t want to deal with casino goers in the evening who may or may not have a clue about what all the Pokémon GO buzz is about! Snorlax is most commonly hatched from 10km eggs, and just like you would when it comes to any 10km egg, make sure you’ve got enough space in your stash! The moment you’ve got a 10km egg, do what you normally would do to hatch it; with Pokémon GO turned on, go jogging, biking, or running on a treadmill to speed up the hatching process. Also be on the lookout in the suburbs, or around roads, as Snorlax can be found in land-based areas. However, be aware that Snorlax sightings are very few and far in-between, making it best to try to hatch him from a 10km egg. Farfetch’d is probably the weakest among the four regional rares in this list, but it’s also one of the rarest. We’ve heard reports of sightings in Asia, including South Korea, and there’s a good chance Farfetch’d will be common in Japan once the game finally makes it to Pokémon’s home country. In North America, this Pokémon is quite a rare one, but you may also be wondering why it’s common in Asia but not outside of the continent. It all pertains to a rather unusual joke about duck and green onion being a popular food combo in Asian dining, but a duck bringing its own green onion being farfetched. We get it…sort of. Kangashkan is, on certain lists, considered common, and that’s because this Pokémon is common for players from Australia and New Zealand, unsurprisingly so due to his resemblance to a kangaroo. But outside of those countries, Kangashkan is unusually rare, with sightings very, very hard to come away from the Land Down Under and New Zealand. Still, this character has been sighted in North America, albeit very rarely, and is very much worth spotting and catching due to its power. Mr. Mime is another rare Pokémon for those playing the game in the United States and Canada, but those who downloaded the game after its European launch are substantially luckier. As it turns out, Mr. Mime is quite common in western Europe, so if you’re going on vacation there in the near future, that’s your big chance to add Mr. Mime to your lineup of Pokémon. As miming originated in western Europe, that explains why it definitely can be considered as a regional rare common in that part of the world, but very rare outside of it. Tauros sounds like the bull zodiac sign, save for the letter U being swapped out for an O. As such, it resembles a bull, and is common in North America, especially along farms and ranches and other places with lots of bulls. And while one may think that this Pokémon is common in Spain, given that that’s the world capital of bullfighting, it would appear that Tauros sightings outside of the United States and Canada are very rare. And that’s no bull. If you live outside the region where the above four regional rares are common, you will likely have the best chances of collecting one or more of them by hatching 5km eggs. Even then, it won’t be that common to see them hatching from those eggs, but then again, a small chance is better than no chance at all. 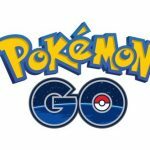 But, if Niantic CEO John Hanke is to be believed, you may soon be able to trade Pokémon in a future game update, so that may be another way in which you could acquire yourself a regional rare, presuming you’ve got your share of Pokémon GO-playing friends from outside your home country/region.